With the constant evolution of website design, Sonoma County Tourism knew that it was a ripe time to evaluate their five-year old site SonomaCounty.com. 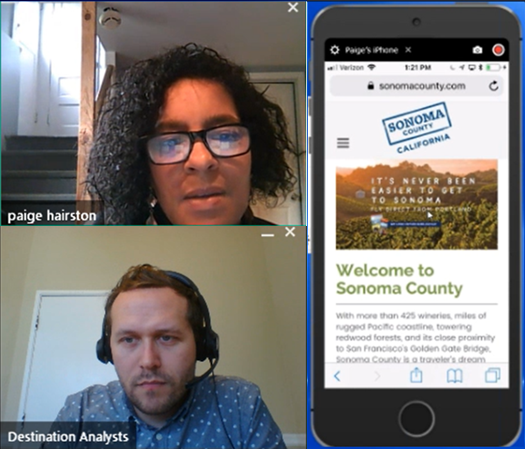 Both the DMO and its agency Miles were ready to begin the process of revamping the official website for Sonoma County, with a website usability study conducted by Destination Analysts being the first step. In addition to understanding the user experience from a leisure traveler perspective and determining the core strengths and opportunities of the current SonomaCounty.com, the DMO sought to gather data specifically on the site’s “Book Now” feature and integration of social media. Destination Analysts worked closely with Sonoma County Tourism to design the research to best achieve the DMO’s primary goals. The comprehensive website usability and user experience study entailed in-depth interviews with leisure travelers who live in Sonoma County’s most important markets via online video conference. Leisure traveler participants engaged with SonomaCounty.com using their own device, with the study encompassing mobile, tablet and desktop/laptop. Because these 60-minute in-depth interviews were conducted online, participants engaged with the website from their typical home or office environments and had the benefit of flexibility in scheduling their interview at a convenient date and time. The research resulted in highly actionable findings that Sonoma County Tourism is currently using in planning the strategy and redesign of its official tourism website. 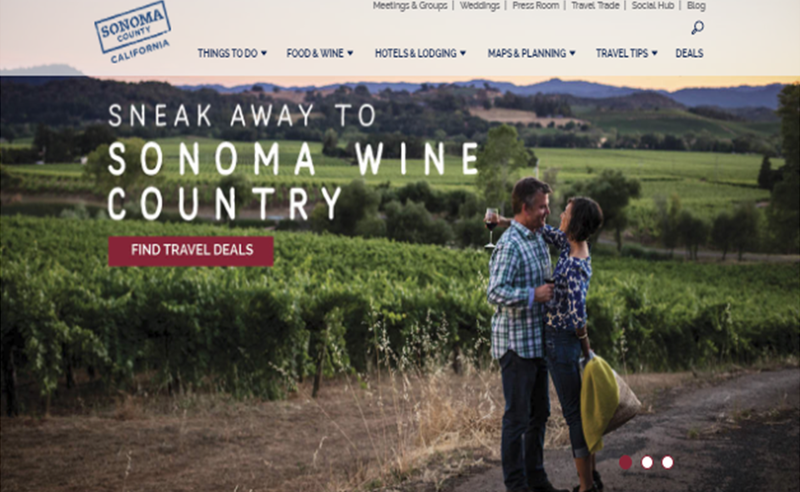 While the study showed that the current site’s “Book Now” feature and homepage Instagram collage were appealing elements that leisure travelers found valuable, the site was also highly praised for inspirational listicle content and for showcasing experiences that are unique to Sonoma County. Room for improvement included educating users on Sonoma County’s geography and streamlining the process of arriving at specific information. As Sonoma County Tourism and its agency Miles is in the midst of the website redesign, Destination Analysts will conduct a second usability study on the new SonomaCounty.com after the site’s launch in Spring 2019.